Gilat Satcom is now providing satellite connectivity to ICSL’s 200 VSAT sites in Nigeria. The company was selected following a competitive tender involving multiple providers and will also be upgrading ICSL’s hub in Lagos with the latest network optimization software to reduce OPEX. Gilat Satcom has been operational in Africa for more than 15 years and has a presence in more than 30 countries across the continent. This latest deal confirms the company's position as one of the most reliable and cost-effective connectivity providers in Africa. ICSL provides broadband and connectivity services to homes and businesses across Nigeria. The company is expanding rapidly, having built its reputation on providing reliable, high-speed, broadband and connectivity services accompanied by excellent customer service. Last year, Gilat Satcom was named as the Best African Satellite Provider in Africa in recognition of the firm's investment in the development of a whole host of innovative technologies across both its satellite and fibre networks. 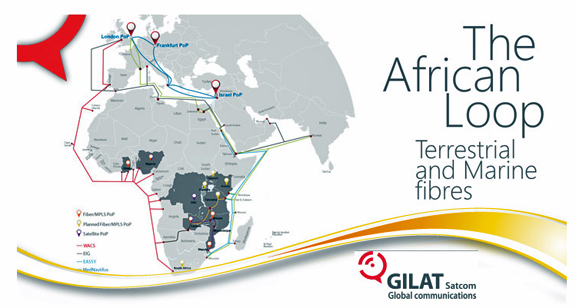 Gilat Satcom’s African headquarters is in Lagos and the company operates an ISP in Uganda and has partnerships across the African continent.